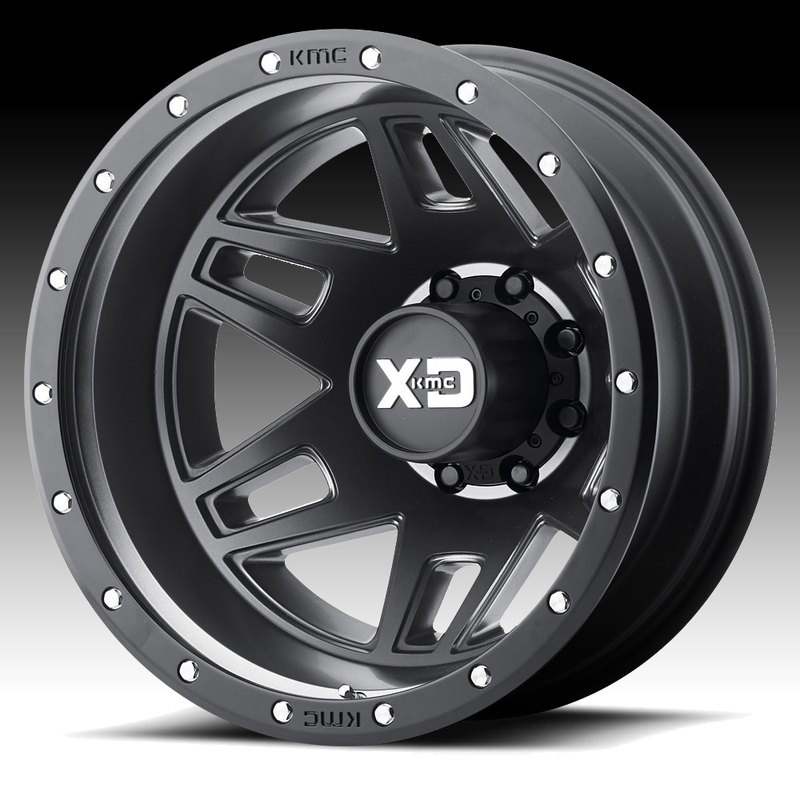 The KMC XD130 Machete dually black wheel is available in 17 and 22 inch dually applications. The XD130 is available for most dually trucks for both stock and lifted fitments. Free shipping on all XD130 custom wheels. Free chrome lug kit with the purchase of 4 black XD130 Machete wheels. 17x6.5 8x165.1 -155 XD130765807155N $360.00 35 Lbs -->> Call or email for special deals! 17x6.5 8x165.1 -140 XD130765807140N $342.00 25.99 Lbs -->> Call or email for special deals! 17x6.5 8x165.1 +111 XD130765807111 $339.00 25.99 Lbs -->> Call or email for special deals! 17x6.5 8x200 -155 XD130765827155N $360.00 34 Lbs -->> Call or email for special deals! 17x6.5 8x200 -140 XD130765827140N $342.00 25.99 Lbs -->> Call or email for special deals! 17x6.5 8x200 +111 XD130765827111 $339.00 25.99 Lbs -->> Call or email for special deals! 17x6.5 8x210 -155 XD130765897155N $360.00 33 Lbs -->> Call or email for special deals! 17x6.5 8x210 -140 XD130765897140N $342.00 25.99 Lbs -->> Call or email for special deals! 17x6.5 8x210 +111 XD130765897111 $339.00 25.99 Lbs -->> Call or email for special deals!